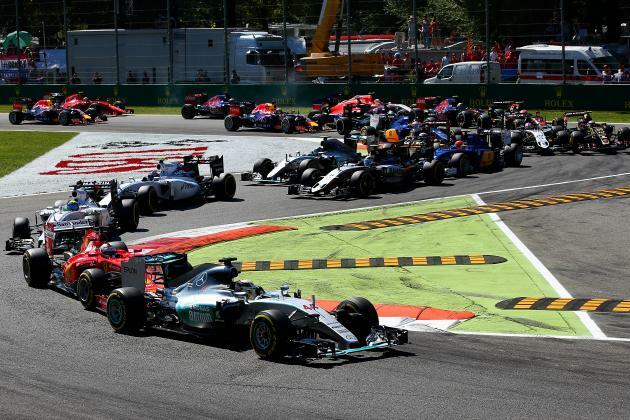 The fast and furious Monza was the setting for the Italian Grand Prix, a race that always delivers passion from the fans, and gave us a race that concluded the European leg of the F1 season in quite dramatic fashion – especially toward the end of the race. Spare some sympathy for Nico Rosberg. In practice sessions he and Hamilton were a class beyond everyone else – the result of upgrades to their engines that allowed them to stretch their advantage over everyone else (even Ferrari, who brought their own upgrades to their home grand prix). Rosberg’s new power unit failed him in the final practice session, forcing Mercedes to swap it out for an older spec engine that had already completed five races. 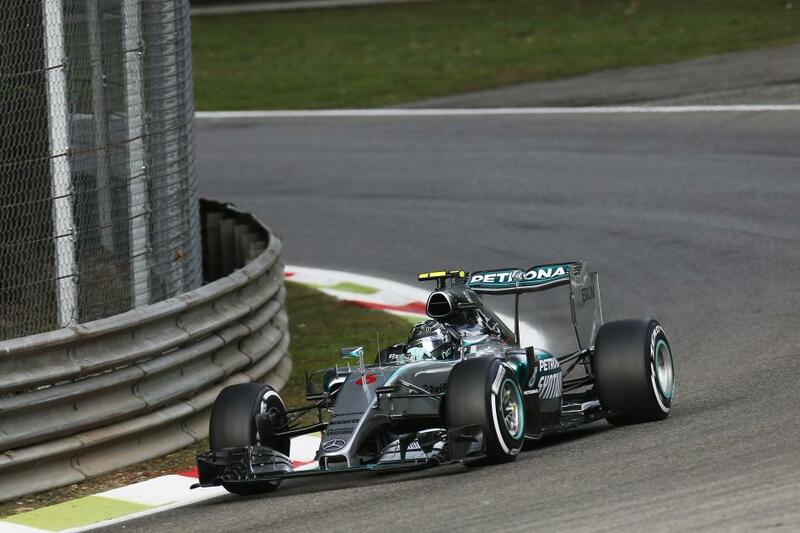 Straight away Rosberg was at a disadvantage with Hamilton, and in qualifying the full extent of this became apparent. Hamilton was on pole once again (his seventh in a row and 11th in 12 races), whilst Rosberg was beaten by both Ferraris – squeezed to fourth on the grid. Somewhat surprisingly, Kimi Raikkonen was the man in second – the first time he’d put his car on the front row of a grand prix since China 2013. Unfortunately for him, this was to prove insignificant. A very poor start from the Iceman saw him slip down to virtually last, and his virtually immobile car cost Rosberg a couple of places at the very start too (his evasive action saw him lose out to both Williams’ and the Force India of Perez). From then on, the race was about recovery action for Raikkonen, and to his credit, he would fight back hard, but must be left wondering what might have been with a good get away. It was another tough weekend for Red Bull (plus their sister team Toro Rosso) and McLaren, their underpowered cars just not coping at all with the high-speed demands of Monza. 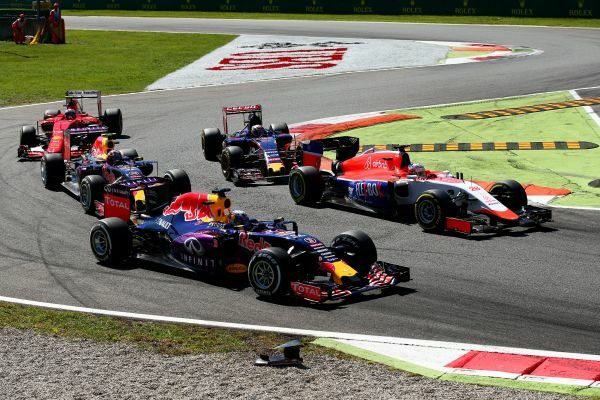 To make matters worse, penalties meant Red Bull and McLaren were starting from the back, with Toro Rosso joining them (Verstappen’s car spectacularly lost most of its bodywork before he could get in a flying lap, relegating him to near the back of the pack). As alluded to earlier, Rosberg would deserve sympathy for the engine disadvantage he found himself in before qualifying even started. Having gotten by Perez quite easily, he would get by both Williams’ thanks to a well-timed pit stop and a super-quick out-lap. He would set about catching Vettel – and was nearly on the Ferrari when, on lap 50, his engine began belching flame, and he had no choice but to retire. This handed third place to Felipe Massa (a popular figure in Italy after several years devoted to Ferrari), and meant any threat to Vettel’s second place was gone. 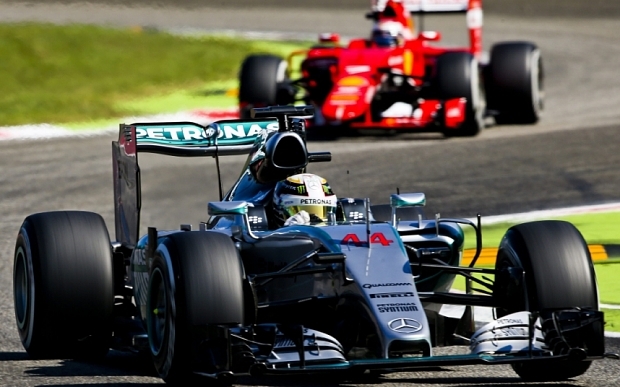 It would also mean Hamilton, who would win by a dominant margin, would open up a 53-point lead in the title race. He now has a two-win margin of error over Rosberg. It’s worth noting that Hamilton still held the edge over Rosberg in all three practice sessions, when they both had he same power units, though of course come the serious business who knows what would have happened. I have a feeling Rosberg’s retirement has only hastened the inevitable in respect of the championship, but there are still several more races to run, so no one can take anything for granted just yet.